The HARBOUR is a meeting place. The nautical activity in Port 2 attracts French and foreign boaters (Germans, English, American, Australian, Belgian, Danish, Finnish, Dutch, Swedish, Switzerland, South African, etc.). They come to dock for a day or longer or winter their boats a season. Those who come back from their trip communicate with those who leave and can advice of nice mooring stops. The talk is about locks and weather, sale and purchase of boats and their experience of it. So friendships starts and they may find themselves in other ports afterwards. It is friendly and a haven of peace, protected from the mistral and floods with personalized services in three languages (French, German and English). A small grocery store provides with common and fresh products in case of urgency and offers the delivery of croissants and bread in the morning if it is ordered the day before. 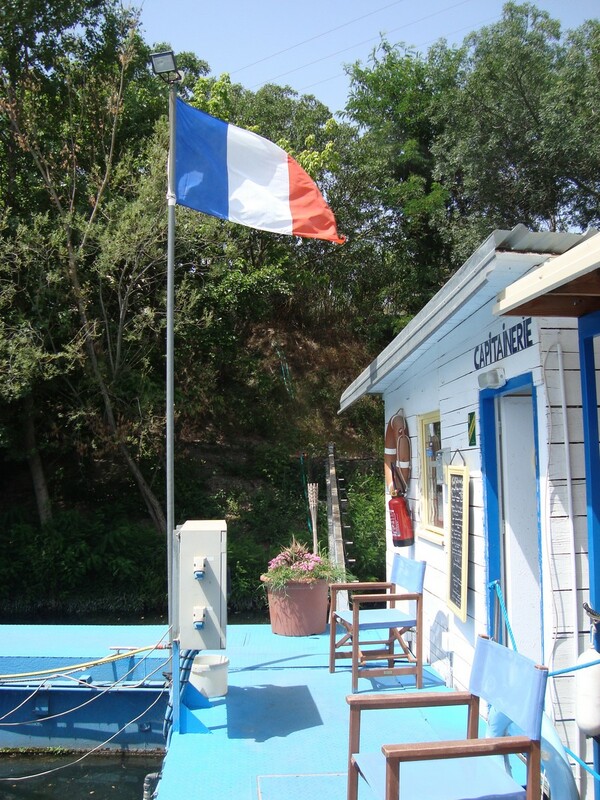 A small seasonal restaurant welcomes the boaters in the shade with regional products. And there is although a equipment shop with little boat supplies where you can buy a gaffe or electric socket. The Harbor office opens in spring and the season lasts until the last boat arrive in the harbor in autumn. Then it is prepared for the winter and secured. The owners go home in their warm places and prepare next year with new and beautiful travel plans.